The woods are so quiet at this time of year. I love how the naked branches give me the freedom to roam where I want. With snow shoes on my feet, I can easily go up hills, squeeze through trees and have fun making trails. The quiet and stillness of the sleeping forest reminds me of that quiet space within. It reminds me to breathe. 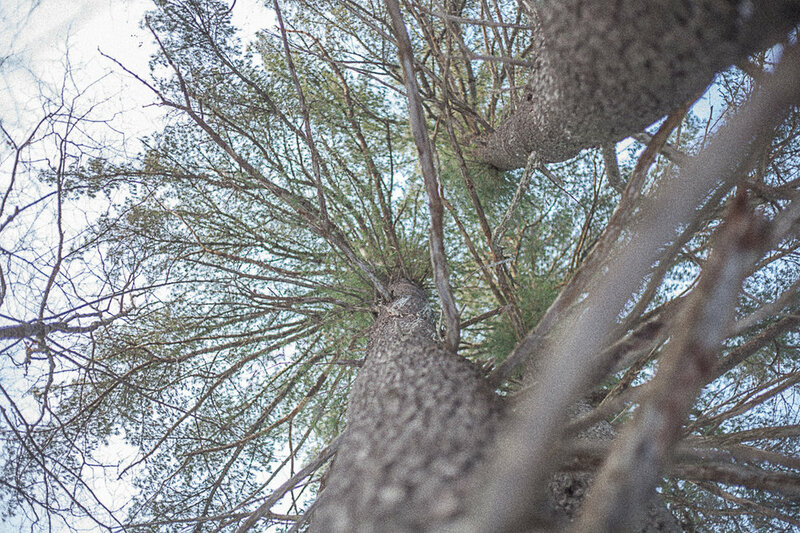 I look up towards the sky and observe the tree trunks reaching up in strength and determination. I close my eyes and feel that same strength inside of me. The running stream, that I can be heared through the frozen ice reminds me that I am also fluid and always changing. This time spent alone in nature is therapy. It's time for my brain to relax and my mind to arrive in the here and now. I am reminded how much I love nature's effect on my being and make a vow to spend more time in the woods. Time in the woods is like my church and I haven't been going to church enough!